KUALA LUMPUR: Khazanah Nasional Bhd’s current business plan under the new government is already solid and intact for the sovereign wealth fund’s long-term performance, says Phillip Capital Management Malaysia senior vice-president (investment) Datuk Mohd Nazri Khan Adam Khan. He said that despite recording losses in the 2018 financial year, Khazanah’s plans, going forward was in the right direction and should be convincing and solid enough to return to profitability. This should include dividing Khazanah’s assets into commercial and strategic assets, as well as, divesting more non-strategic assets. “Khazanah is not the only sovereign wealth fund that incurred losses (in 2018), even the biggest sovereign wealth fund such as the Norway government pension fund also suffered the same fate, losing some US$57bil. “In my opinion, the main reason Khazanah recorded losses is due to the volatility in the equity market that was notable across the board especially with the trade tension between the United States and China looming in the background. 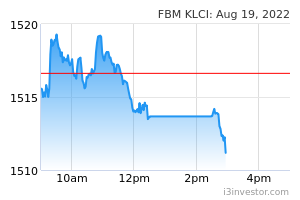 Bursa Malaysia continues to trade flat at the moment,” he said. Khazanah recorded a pre-tax loss of RM6.271bil in 2018 versus a pre-tax profit of RM2.9bil in 2017, the first losses suffered in a decade. Profitability was affected by fewer divestments, reduced dividend income and higher impairments as a result of unfavourable market conditions during Khazanah’s transition period. Nazri said the priority now was to support government economic initiatives by giving more cash to the government by way of divestments or reducing more equity in government-linked companies. “What matters here is positive governance, transparency and prudent investment practice and ensure that Khazanah is free from political interruption. It (management) should be in the hands of professionals. “I think that Datuk Sharil Ridza Ridzuan (Khazanah’s managing director), being the former chief executive officer of the Employee Provident Fund, knows how to manage Khazanah as an active institutional investor,” he added. Last year, the government undertook the restructuring and reorganisation of Khazanah which involved leadership changes in the board of directors and management, as well as, a refreshed mandate and objectives. Khazanah also undertook a review and revaluation of its investments which were reflected in its 2018 results. Nazri also opined that Khazanah should stay away from asset classes that they were not familiar with and learn from mistakes done by the oil sovereign funds in Qatar and China which were over-dependent on one asset and diversified too much besides acquiring large private equities and properties which were outside their territory.